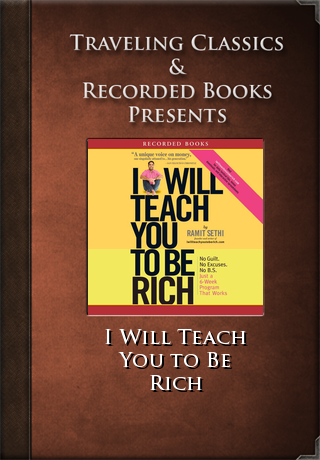 This application contains a professional recording of I Will Teach You to Be Rich -- wrapped in a beautiful and elegant player to create an immersive and enjoyable audiobook experience. This six-week personal finance program by dynamic innovator Ramit Sethi helps 20- to 35-year-olds get a grip on their financial future. Sethi's nonjudgmental approach encourages listeners to follow practical guidelines that start with the four pillars of personal finance and lead to wealth-building entrepreneurship. 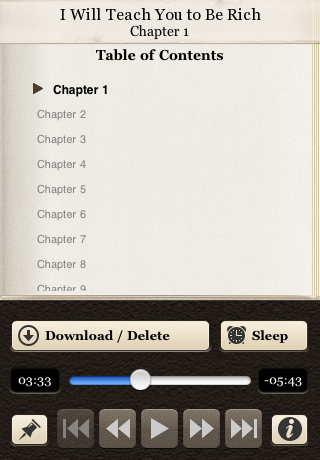 "A unique voice on money, one singularly attuned to his generation." -San Francisco Chronicle"